As a CE Marked company, we are able to design the supporting steelwork structure, including calculations to suit your specific locations, thus providing safe access. We use state of the art Solidworks 3D and Finite Element Analysis software to plan the design, this gives us the ability to show customers complete layouts before any steel is cut. 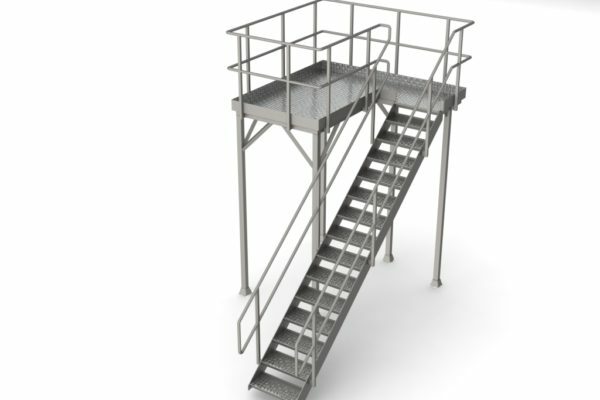 Dodman stainless steel platforms and gantries are British engineered and manufactured in either 304 or 316 grades of stainless steel and are suitable for any industrial or commercial hygienic environment.